Tehran is open to the idea of conducting more trade payments in rubles and rials, not US dollars, and would support an official deal, according to Iran’s former Minister of Foreign Affairs Kamal Kharrazi. "This is a very important step that Iran and Russia should take. And there is no other way to get rid of the dominance of the dollar in trade exchanges,” Kharrazi said Friday, RIA Novosti reported. 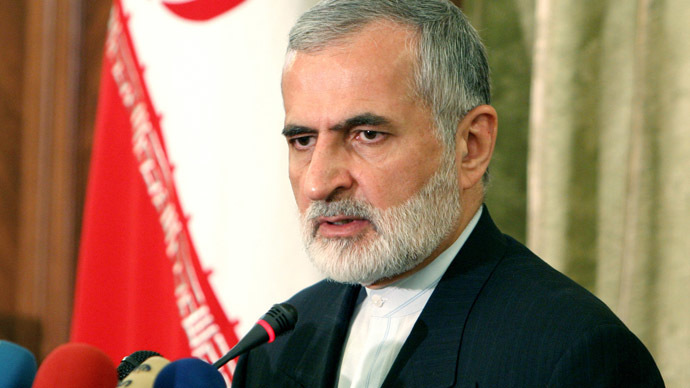 Kharrazi is now director of the Strategic Council for Foreign Relations, having served as Iran’s foreign minister from 1997 to 2005. Iran “will very seriously consider the question” of using Russian and Iranian national currencies to settle bilateral trade, adding it was “natural for Iran to welcome such an agreement,” Kharrazi said. Russia-Iran trade is currently worth $5 billion a year. A so-called ‘oil-for-goods’ contract has long been discussed, by which Moscow would buy oil from Tehran and export products and expertise in machinery, rail, trucks, metals and grain. The West worries that the deal will push Iran to exceed its 1 million barrels per day limit, which is part of its nuclear deal with Russia, China, the US, Britain, France, Germany and Iran. Iran, sanctioned by the US and Western nations since its Islamic Revolution in 1979, hasn’t been able to develop or export its oil and gas products. Sanctions were extended and justified over the fear that Iran was developing nuclear weapons. In 2012, the EU barred the country from using SWIFT transactions, essentially cutting it off from the global financial world. Both the US and EU said they are ready to lift sanctions against Iran once a comprehensive nuclear agreement is reached, RIA Novosti quoted an Iranian delegate as saying on Friday. Iran and Russia are also parties to talks that would create a free-trade zone with Caspian Sea neighbors Kazakhstan, Azerbaijan, Iran and Turkmenistan, an idea proposed by Kazakh President Nursultan Nazarbayev at the Caspian Summit in Astrakhan, Russia, in September. Russia and Iran also plan to create a joint bank, Iran's Ambassador to Russia Mehdi Sanaei said in November.